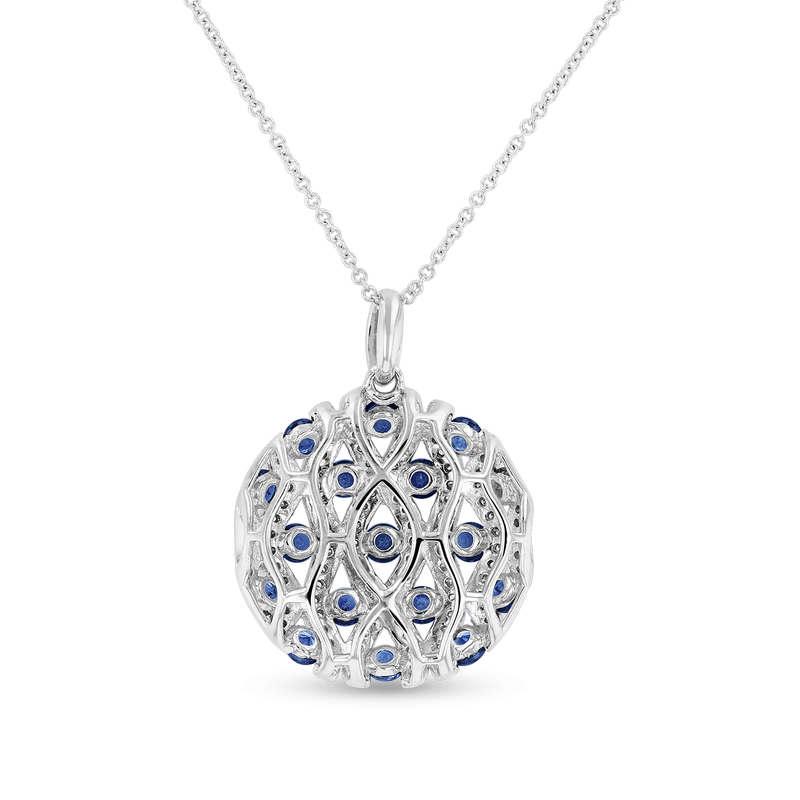 This beautiful sapphire and diamond pendant is available in 14K white gold. The gemstones may be ordered in any precious gemstone color. 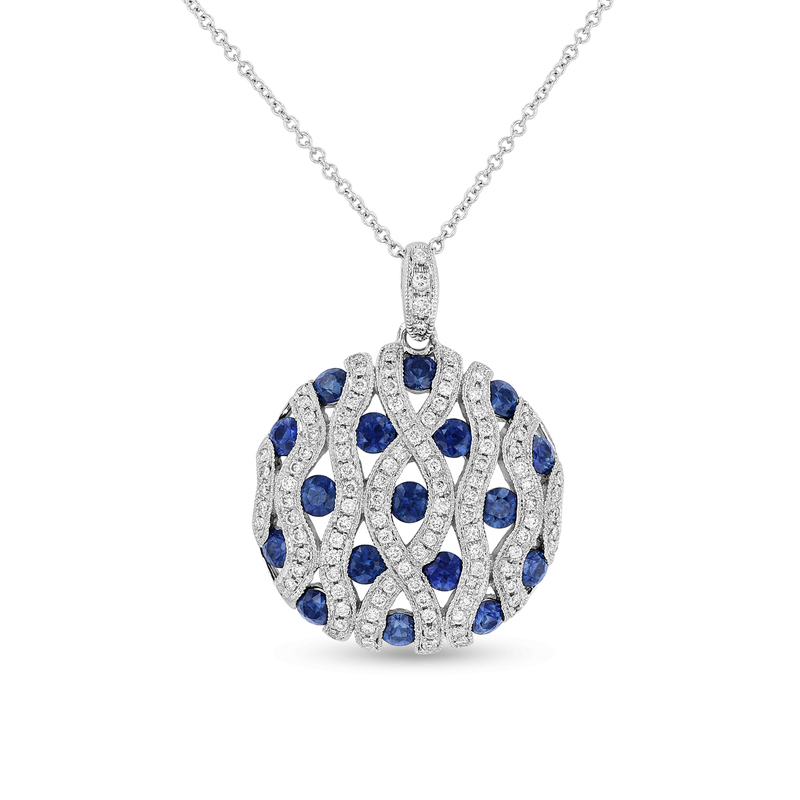 The round sapphire in this pendant have a total carat weight of 2.20 carats. The diamonds have a total carat weight of 0.50 carats. 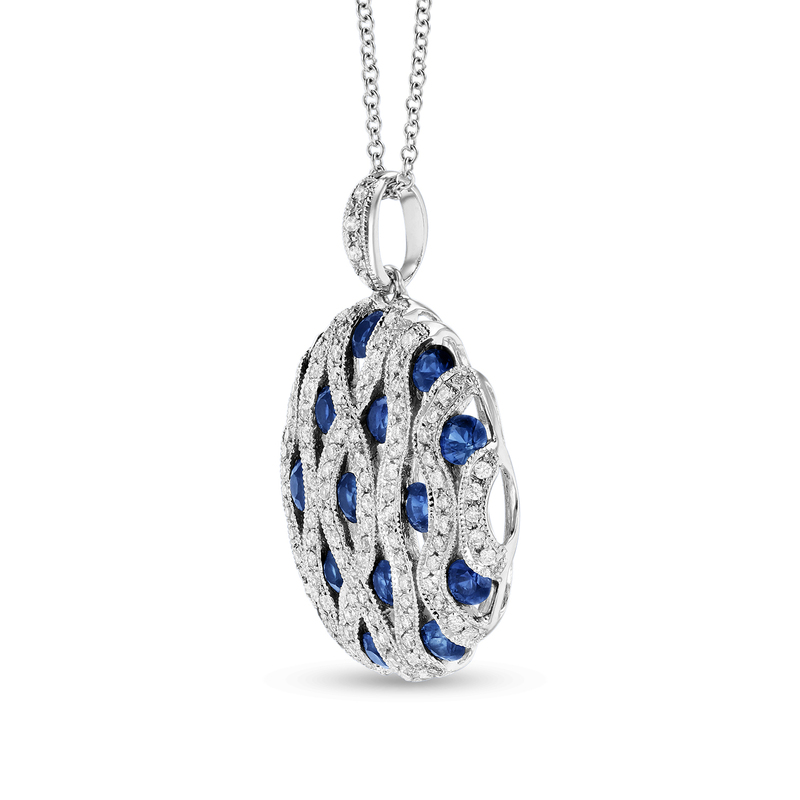 Sapphire is the birthstone for the month of September.